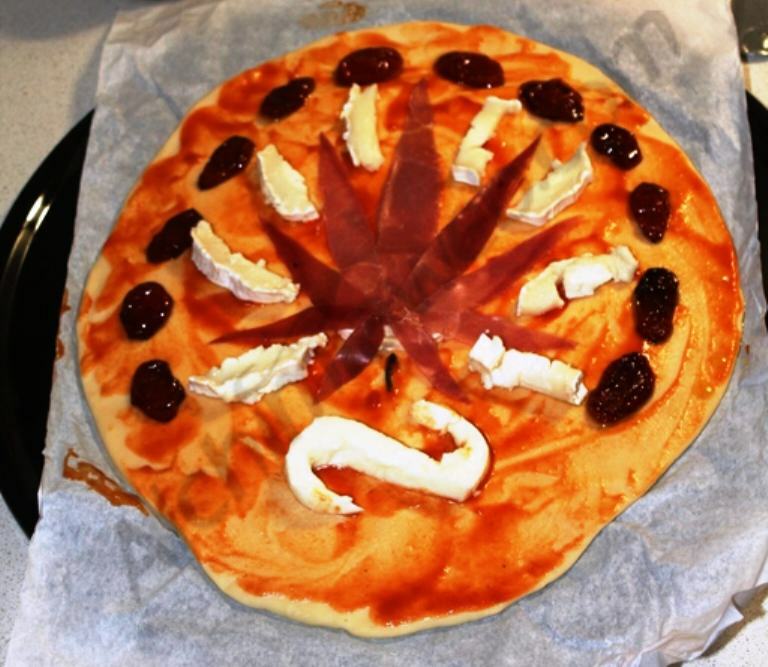 Before preparing our Happy Pizza, we must start by making an olive oil base enriched with marijuana: the fats will absorb the cannabinoids present in the cannabis (either buds or resin concentrates) which we’ll use later during the preparation process of this classic Italian dish. We’ll use olive oil to absorb the cannabinoids of the plant, just as we would do when making cannabis butter, what will allow us to use this psychoactive fatty material to prepare our best meals. The first thing to do is rehydrating our weed, mixing it in a pot with water. Once the green matter is hydrated, pour the oil into the pot to make the cannabinoid dissolution. Depending on the use and the potency of the weed, dosages are highly variable according to each user. Let the mixture simmer for 1-2 hours, what transforms the molecular structure of cannabinoids – decarboxylation – and activates their psychoactive potential. Then, we just have to filter the mixture, squeezing it to recover all the oil. Once at room temperature, store the mixture in the fridge so that the oil solidifies and raises to the surface, what facilitates its recovering. Tip: During the preparation we can add a few Vitamin E drops, available in pure form or in wheat germ oil. Thanks to its strong antioxidant power, it improves the oil resistance to high temperatures while keeping its properties, avoiding degradation from cooking or long-term storage. Hashish, normally smoked with pipes or joints, is also a basic ingredient in different traditional recipes such as the bhang lassi (India and Thailand) or the dawamesk, a kind of cannabis marmalade made from honey, pistachio powder, fatty material and marijuana resin which was usually consumed by the famous members of the Club des Hashishins (1844-1849). Using hashish, i.e. using the resin previously removed from the plant, we’ll save a lot of time since we only have to heat in a boiling water-bath the oil-hash mixture to 120/150ºC for 30-45 minutes, preventing the oil from burning. 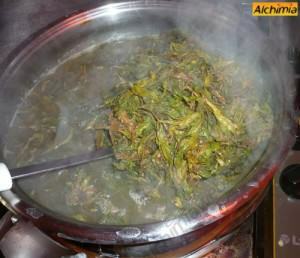 This allows decarboxylation of cannabinoids, so they will be present on psychoactive (non-acid) form (this process can also be performed during the cooking process of the recipe). Once the mixture is ready, filter it to remove trichomes and other plant debris. 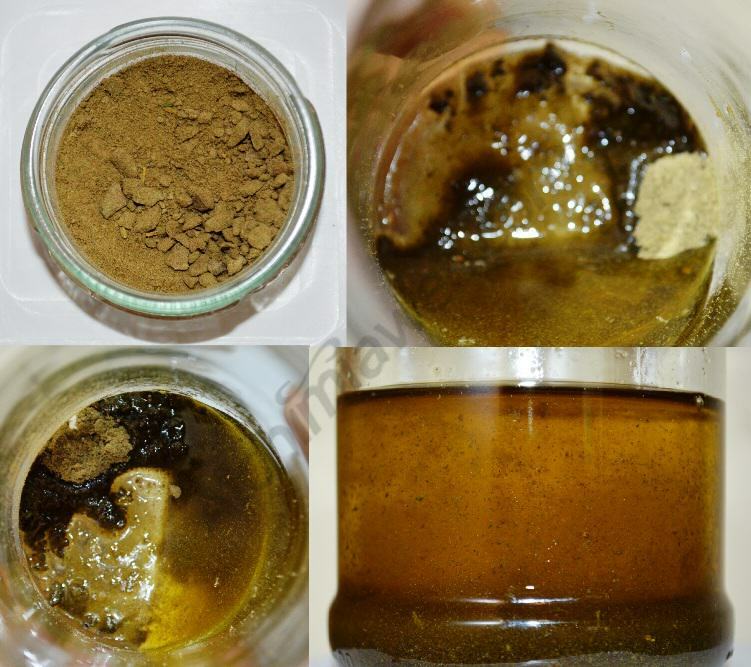 Logically, this recipe is for homemade hashish, for commercial hash is often adulterated and/or contaminated with undesirable substances for our health. Our pizza can be enriched with marijuana in different stages, an we’ll explain all of them, although we only recommend doing it once unless our oil has low psychoactivity. 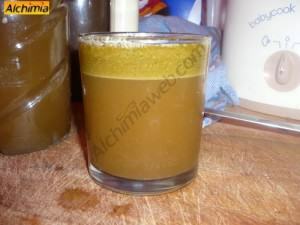 Mix the yeast and the warm water in a glass, add a pinch of salt and the sugar. Dilute everything with 2 or 3 more tablespoons of water, cover and let it rest for 10-15 minutes. 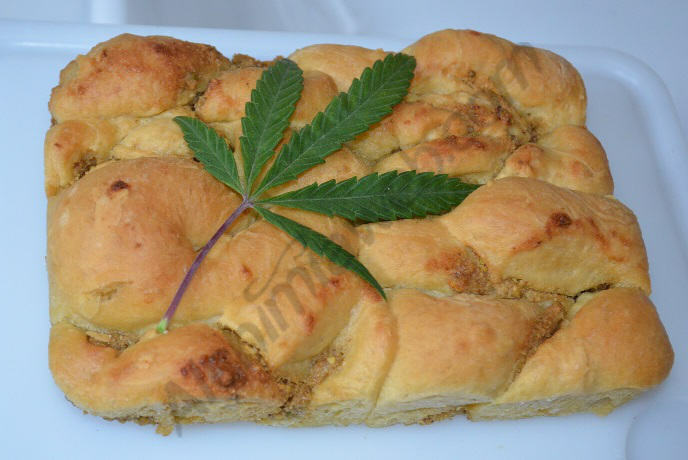 Mix a pinch of salt, the cannabis oil and the flour in a bowl. Add the yeast mix and knead for around 10 minutes, adding some warm water if necessary, until getting a non-sticky soft and elastic dough. Cover the bowl with a cloth and store in a warm place for 1-2 hours. Brown the frying chopped onion, garlic and chopped olives in a pan. 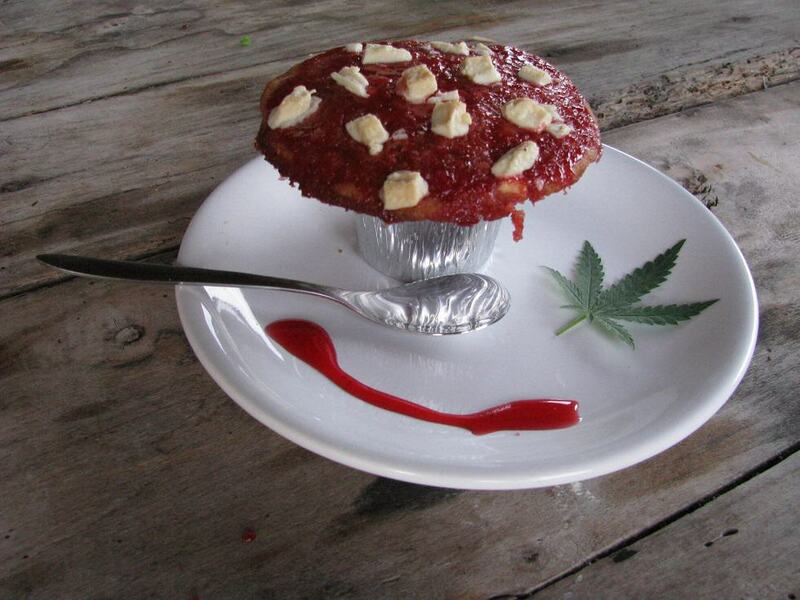 Once the onion is golden, add the chopped tomato and the spices, aromatic herbs and a pinch of salt (you can add now a few grams of unpressed cannabis resin glands). Cover and let it simmer for a few minutes. Dilute the tomato concentrate with warm water and add it to the mixture, letting it simmer for 15 minutes and adding water/stock if necessary. 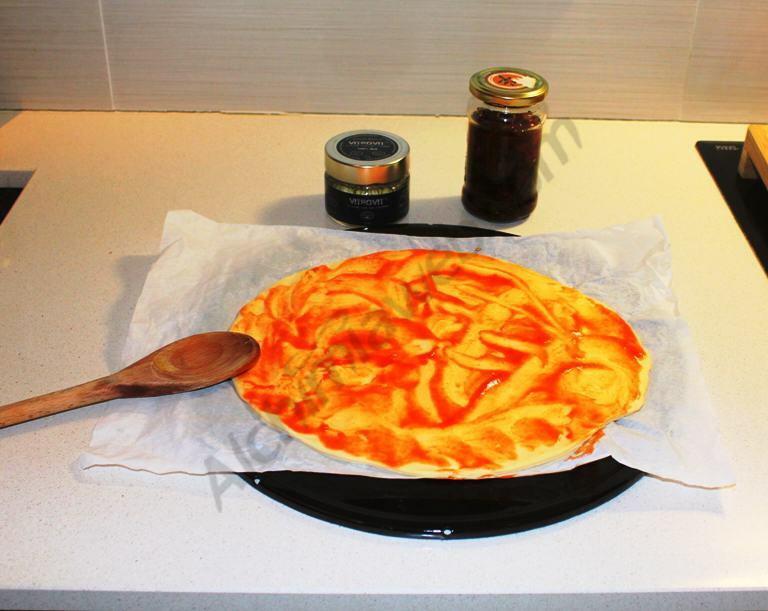 What everyone likes from pizza is that you can use your prefered ingredients to make it. We can choose almost any ingredient and use it in our pizza, and we can even marinate these ingredients for a few hours in cannabis oil before using them. 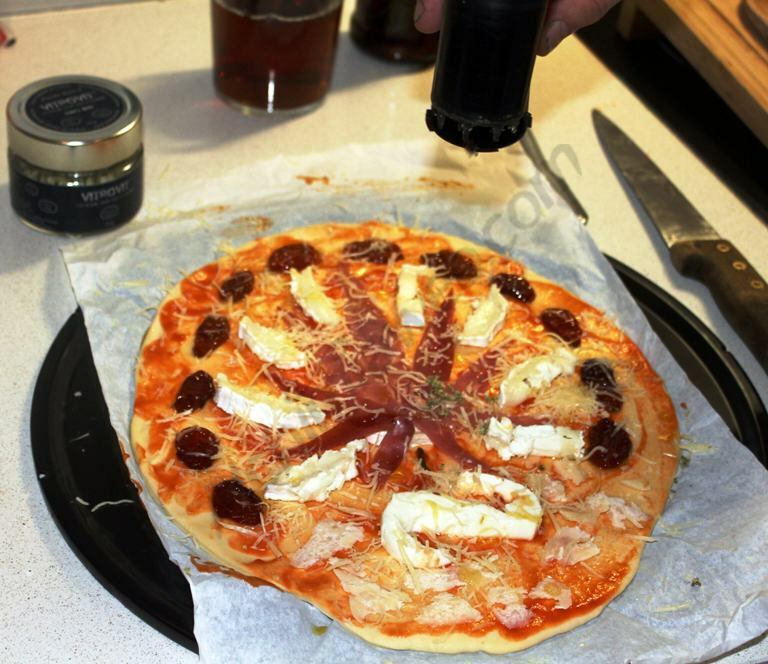 Salt, pepper, oregano and many other aromatic herbs are also often used to season pizzas. 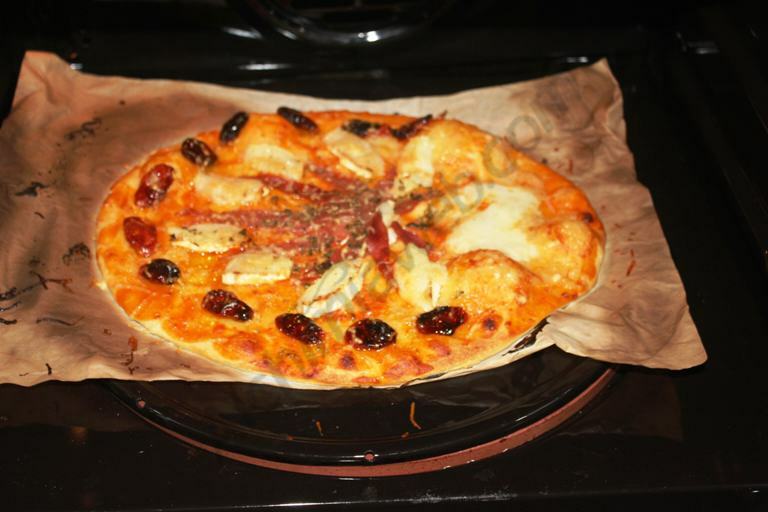 Thus, our mushrooms, onions, bacon, ham or mozzarella can be perfumed with marijuana before preparing the pizza, although another option is to drizzle our pizza with cannabis olive oil before baking it at 200ºC for around 20 minutes. 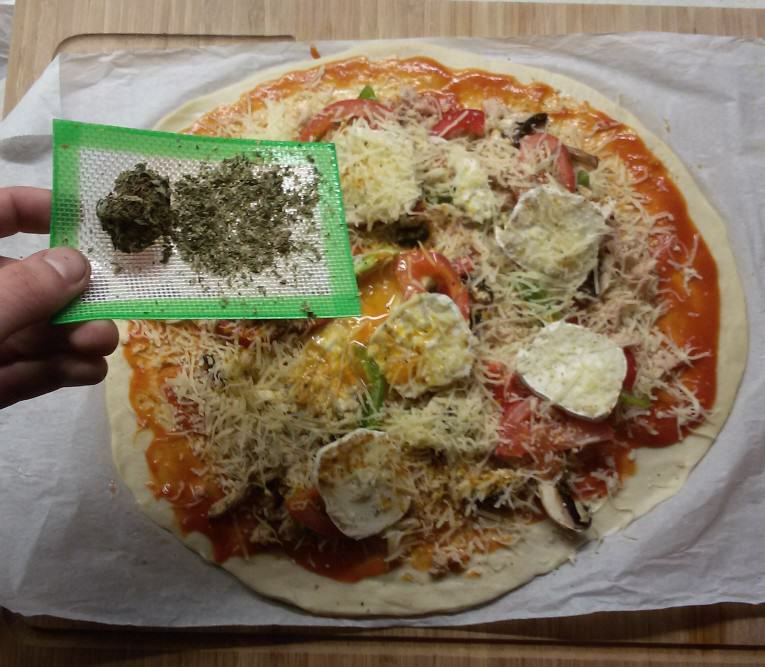 Finally, if we want to make the marijuana presence visible and more intense in our dish, we can sprinkle it with grinded buds after baking the pizza, so we can enjoy the properties of cannabinoids avoiding the weed from burning. Enjoy your meal!